Concrete is one of the few materials that can handle almost anything. Find out why a concrete home in Mississippi was the only one standing after Hurricane Katrina ripped through a neighborhood in 2005. Click here to read the case study. Firefighters weigh in on concrete safety. 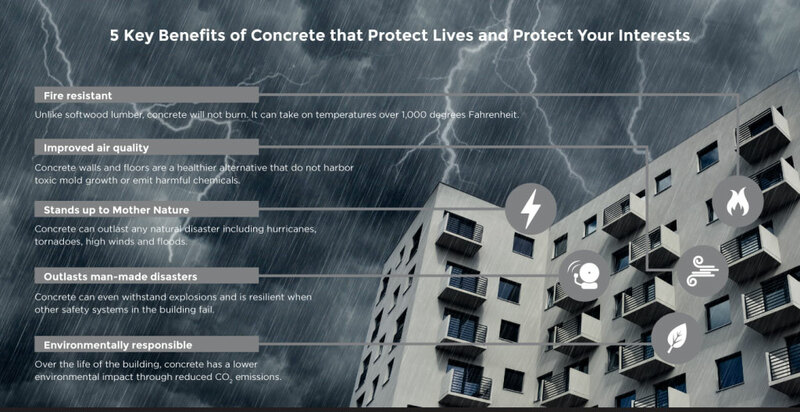 See why emergency personnel prefer concrete when it comes to fire safety and fire prevention. Click here to read the case study.